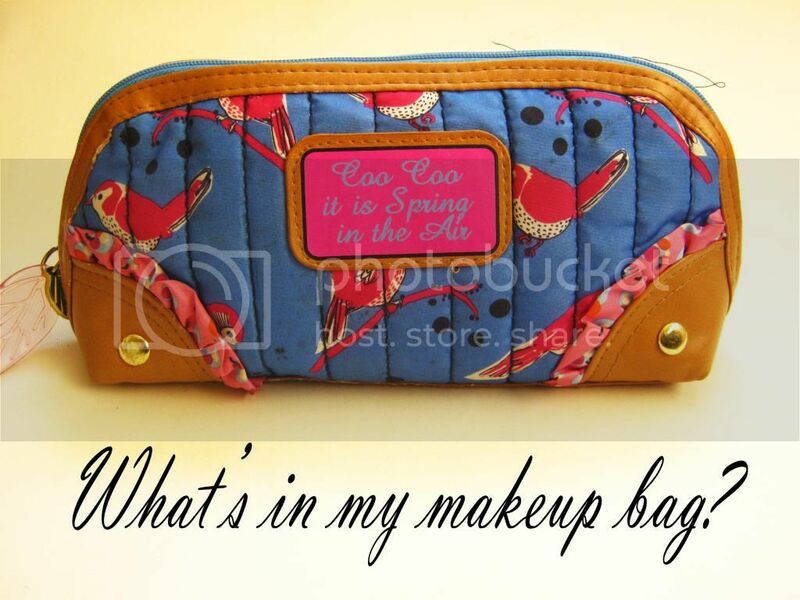 Iheartmexo: What's in my makeup bag? I love reading the 'What's in my makeup bag' posts that so many bloggers do and after a long time I thought I'd do one too! Now my makeup bag is not huge but quite average sized. I don't really carry lots of things around. Just things like a mirror and an eyeliner pencil (both of which are actually not present in this post as they are in some random pocket of my handbag!) Makeup bag is from H&M (last year's). 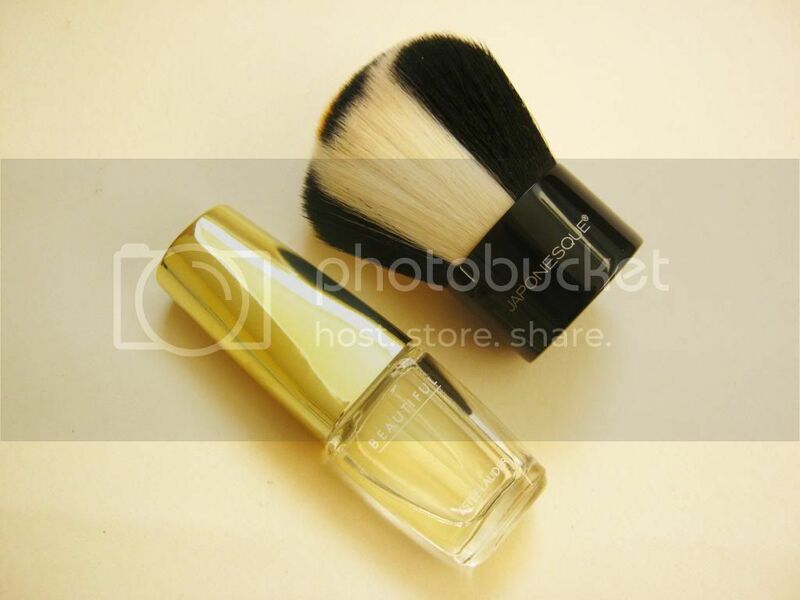 For the face products, I only have one brush and this one is by Maybelline. I like to keep the plastic thing on top as well, so it doesn't lose the shape or get dirty. 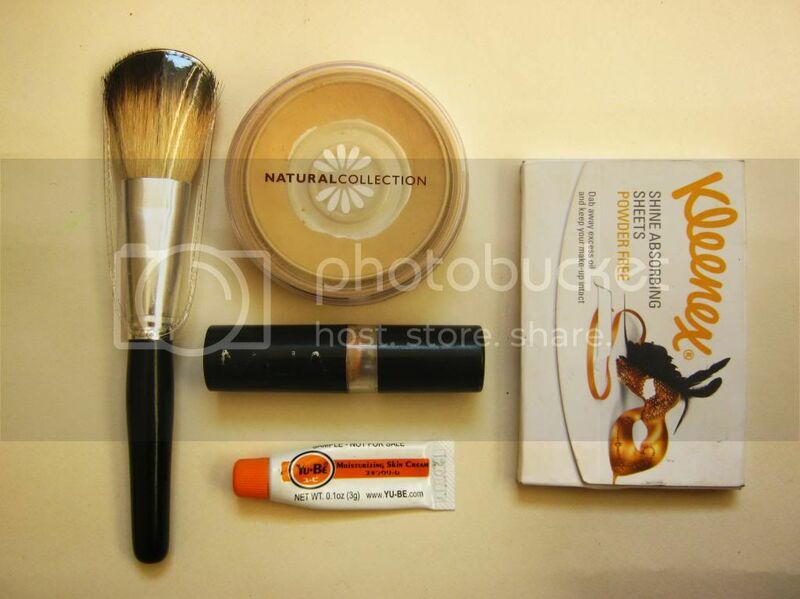 My natural collection face powder is one of my favourites. I have bought this again and again. I also have a moisturising cream for if any dry patches appear on my skin, which is often :(. I really like this one that I got in my Birch box and I am considering getting the full size. Blotting sheets are a life saver or in my terms a face saver. I don't like to pile more makeup on after every 2 hours, especially if your skin gets oily. Blotting makes things so much better and these by Kleenex do the job well. An Mua concealer is also always in my bag as it's a favourite. Before, I took pictures for this post, I had 5 lipsticks in this bag. How it all fits in there? I don't know. Why I have 5? Because I am a beauty blogger. I took the rest out and left what I was actually using at the moment. 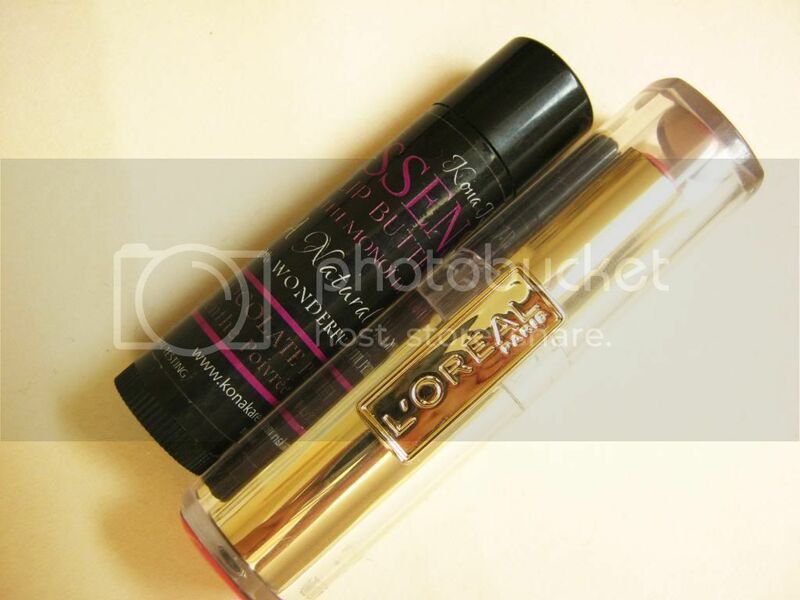 I love my Kona Kare Lip butter lip-balm in chocolate peppermint and the lipstick I am currently hooked on is L'Oreal's rouge caresse lipstick in lovely rose. Pretty! 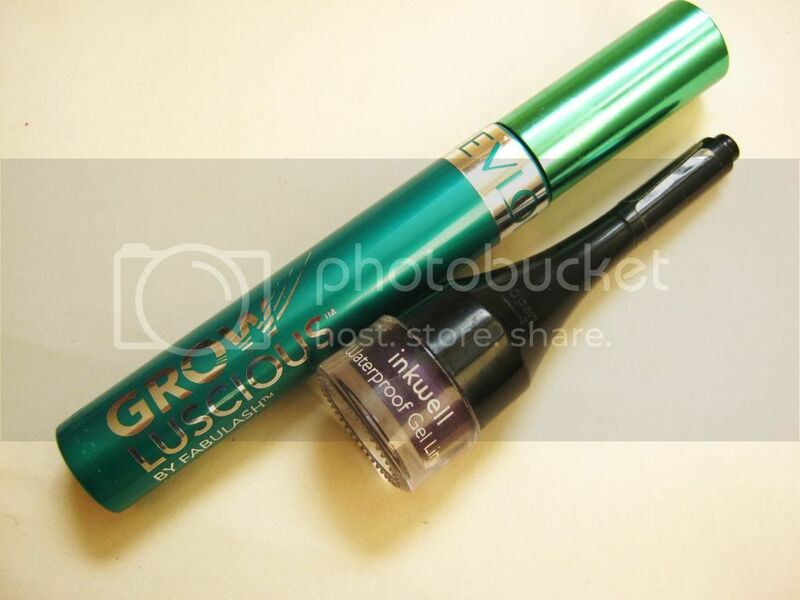 My favourite mascara for the past months is Revlon's grow luscious. I live off this stuff. AMAZING. I am also using the Laura Geller gel liner in purple these days. 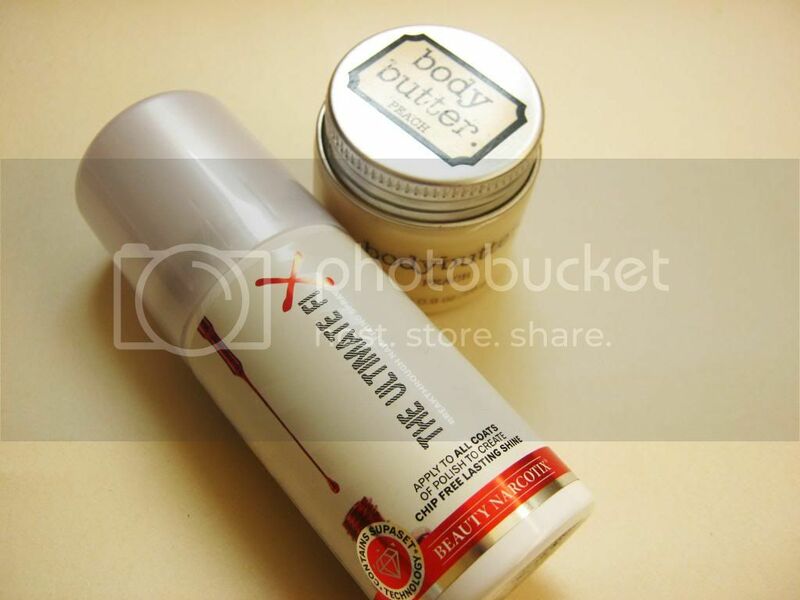 H&M's body butter which I use to moisturise my hands. This is in peach and smells gorgeous! I paint my nails alot these days and so I keep my travel size version of the Ultimate Fix which is a nail polish drying spray. You know when you have several nail polish layers, sometimes it can start to peel off so I quickly spray this on and problem fixed. Love this! I also have my Japonesque kabuki brush. I really don't know why it's in there but it is. It's cute though? Estee Lauder's Beautiful perfume sample is my favourite. Pretty good size too. 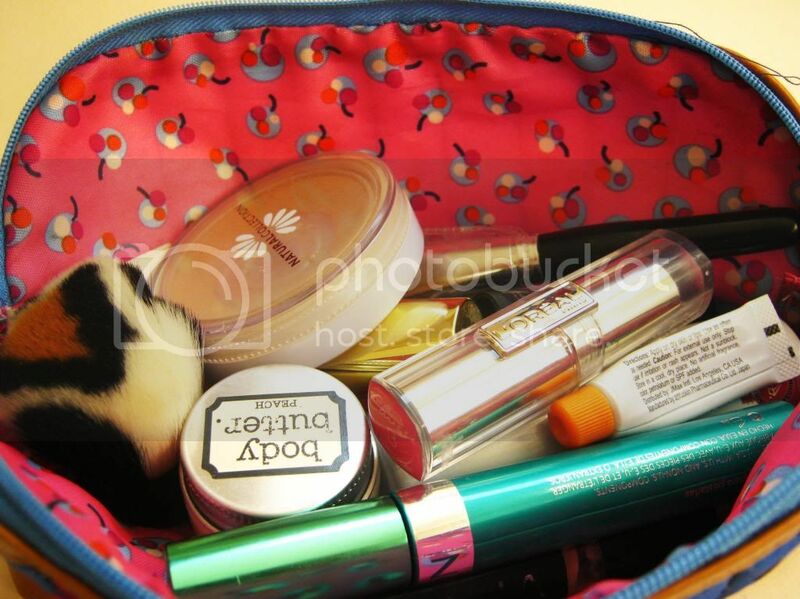 These are the contents of my makeup bag. I wanna know what your makeup bag essential is! Nice post! :) i have heard alot about those japonesque brushes are they any good? I've only used this one and it's pretty good! a very interesting post. Love ur makeup bag. It's sooo cool!! I need a new make up bag so badly! I've got a M.A.C giveaway on my blog at the minute, would love for you to check it out. I am looking for a new one too! That is the cutest make up bag!